Sage has issued a hotfix for their payroll which allows those who elected not to subscribe to the new payroll tiers to view payroll reports. Previously if a subscription was not present and the user previously was licensed for payroll they would have been locked out of the module – including any reporting. This hotfix also reportedly extends the payroll expiration date for partner and accountant internal use copies of Sage payroll. 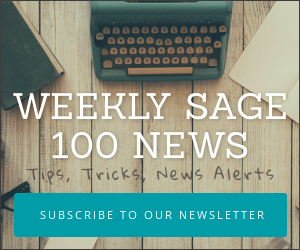 A separate hotfix is available by version and the fixes are only available for supported versions of Sage 100 and Sage 100c. Allows read-only access to an unregistered Payroll Module. Extends the Payroll expiration date for Resellers and SAN Customers with Not For Resale (NFR) keys. Download the applicable program fix below for the specific version of Sage 100 you have installed.